CONCERT & TOUR PROGRAMS 1969 - 1981. 09.08.68 SUNBURY JAZZ FESTIVAL. - PROGRAM. U.K.
24/25.01.69 THE FILMORE EAST NY. - PROGRAM. U.S.A.
11/12.04.69 THE FILMORE EAST NY. - PROGRAM. U.S.A.
11.05.69 1st U.K. TOUR PROGRAM with guests Clouds & Ten Years After. ( Bought @ Redcar ) U.K.
20/22.06.69 NEWPORT '69 PROGRAMME - Devonshire Downs Festival - Northridge Los Angeles CA. U.S.A.
04/05.07.69 THE FILMORE EAST NY. - PROGRAM. U.S.A.
11.07.69 THE LAUREL POP FESTIVAL PROGRAMME - U.S.A.
.....09.69 FOUNDATION OF CHRYSALIS RECORDS - Press Release U.K.
07.10.69 STAND UP TOUR PROGRAM with guests Savoy Brown & Terry Reid. ( Bought @ Leeds ) U.K.
10.10.69 THE ISLAND BLUES FESTIVAL - Amsterdam , The Concertgebouw - PROGRAM Holland. 05/06.12.69 THE FILMORE EAST NY. - PROGRAM. U.S.A.
1970 CHRYSALIS TOUR GUIDE features Tull,Led Zepplin,Humble Pie & others. U.K.
21/23.05.70 THE FILMORE EAST NY. - PROGRAM. U.S.A.
07.07.70 TANGLEWOOD FESTIVAL - PROGRAMME U.S.A.
09.08.70 GOOSE LAKE MI. - Programme from Music Festival near Jackson, Michigan (Tull Only Played On The 9th) U.S.A.
30.08.70 ISLE OF WIGHT MUSIC FESTIVAL - Programme U.K.
......09.70 ISLE OF WIGHT - The Last Great Festival.- Round up of I.O.W. 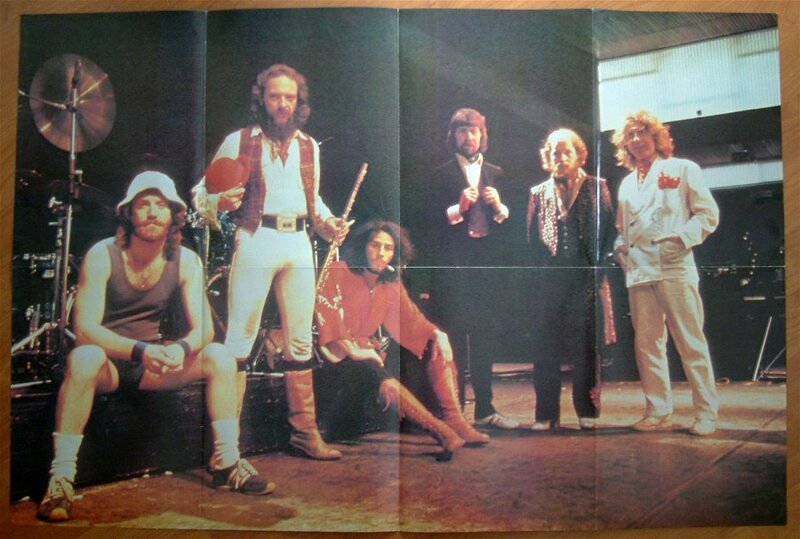 - Tull pages only (Printed 09.70) U.K.
27.09.70 BENEFIT TOUR PROGRAMME with guests Tir Na Nog & Procul Harum. 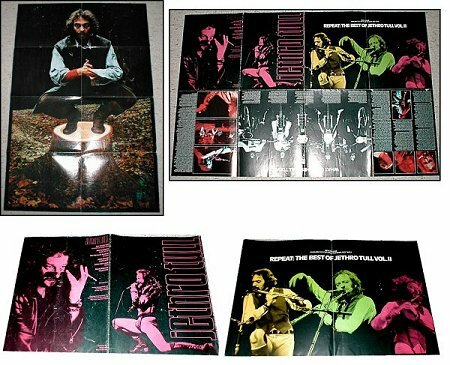 ( Bought @ Newcastle ) U.K.
04.11.70 CARNEGIE HALL CONCERT" A Benefit Concert for Phoenix House" - TULL PROGRAMME U.S.A.
......10.70 CARNEGIE HALL" A Benefit Concert for Phoenix House" - Carnegie Hall 1970 Fall Program. U.S.A.
11.03.71 AQUALUNG TOUR PROGRAM + guests Steeleye Span. ( Bought @ Leeds ) U.K.
05/06.04.71 FILMORE EAST PROGRAMME. U.S.A.
08.03.72 THICK AS A BRICK TOUR PROGRAMME with guests Tir Na Nog. ( Bought @ York ) U.K.
.....03.72 THICK AS A BRICK U.K.TOUR SOUVENIR BOOKLET U.K.
15.07.72 THICK AS A BRICK - JAPANESE TOUR PROGRAMME Japan. 22.06.73 A PASSION PLAY TOUR PROGRAMME with Guest Robin Trower. ( Bought @ London ) U.K.
06.07.73 A PASSION PLAY - Album insert programme U.K.
.....08.74 JAPANESE TOUR PROGRAMME U.K.
13.11.74 WAR CHILD TOUR PROGRAMME with guests Fanny ( Bought @ Newcastle ) U.K.
1975 WAR CHILD AMERICAN TOUR PROGRAMME U.S.A.
1976 TOO OLD TO ROCK 'N ROLL. 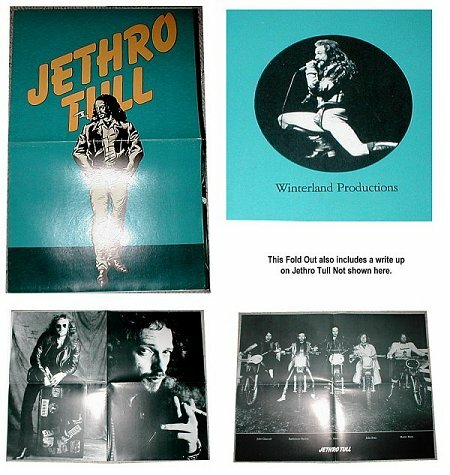 U.S.A. Tour Fold Out / Programme U.S.A.
16.01.77 DOROTHY CHANDLER PAVILION - An Evening With Jethro Tull U.S.A.
03.02.77 SONGS FROM THE WOOD TOUR PROGRAMME. ( Bought @ Newcastle ) U.K.
1977 SONGS FROM THE WOOD TOUR PROGRAMME. Australia. 1977 SONGS FROM THE WOOD USA FALL TOUR PROGRAMME / FOLDOUT. U.S.A.
03.05.78 HEAVY HORSES WORLD TOUR '78 PROGRAMME. ( Bought @ Manchester ) U.K.
1978 BURSTING OUT NORTH AMERICAN TOUR '78 PROGRAMME. U.S.A.
1979 NORTH AMERICAN TOUR '79 PROGRAMME. Folds out into large group picture poster. VIEW POSTER U.S.A.
1979 STORMWATCH TOUR PROGRAMME. (1979 / 80) U.K.
1980 'A' TOUR PROGRAMME. (1980 / 81) U.K./U.S.A. ......02.81 THE WATER'S EDGE PROGRAMME - The Scottish Ballet U.K.